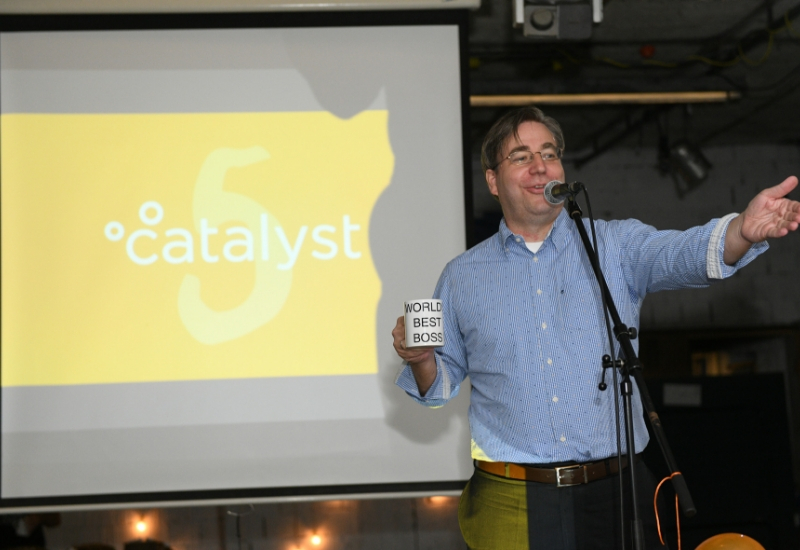 We celebrated our 5th birthday on Friday 14th September – but we also made this an occasion to support 5 nonprofit campaigns. Although it may seem that our everyday is made exclusively of bad news, the data which we collect in Catalyst paints a very different picture. With 38,701 good deeds registered in the past five years in our Giving Balkans database and over EUR 100,000,000 worth of donations, we know that good deeds are happening all around us – each and every day. This is why after 5 years during which we have successfully helped good doers change our society for the better, we decided to celebrate this important date by sharing. 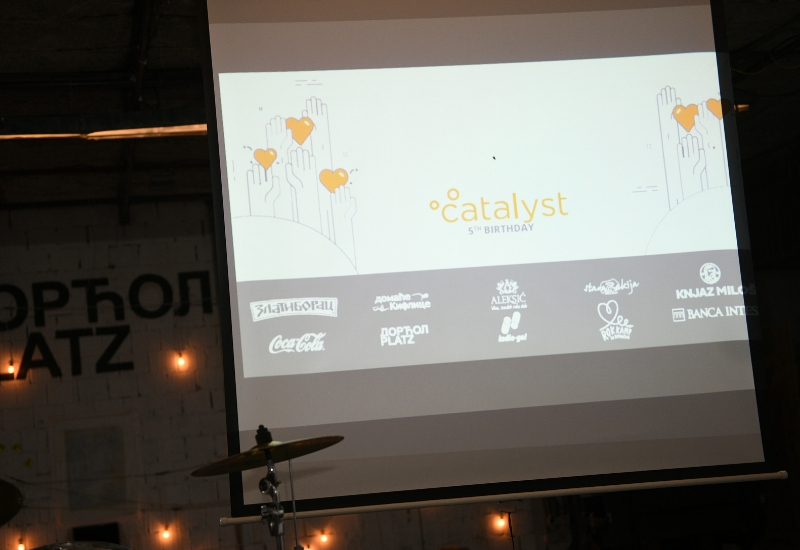 The celebration “A Community of Good Doers” gathered our friends and partners in Belgrade, so that we may together celebrate the work of Catalyst and support 5 campaigns which are run on the crowdfunding platform Donacije.rs. Since we took care of the birthday buffet thanks to our generous donors, we asked our gests to donate money for one of the campaigns, instead of buying us a present. To make the process easier, we made it possible for our guests to donate in three ways: online, via POS terminals and in cash. National Giving Day (Nacionalni dan davanja) by Serbian Philanthropy Forum which is this dedicated to young innovators from the research center Petnica this year. the campaign by A Chance for Parenthood (Šansa za roditeljstvo) for supporting 5,000 couples from Serbia who are fighting infertility. During the celebration a total of RSD 78,900 was raised for these big and important causes. 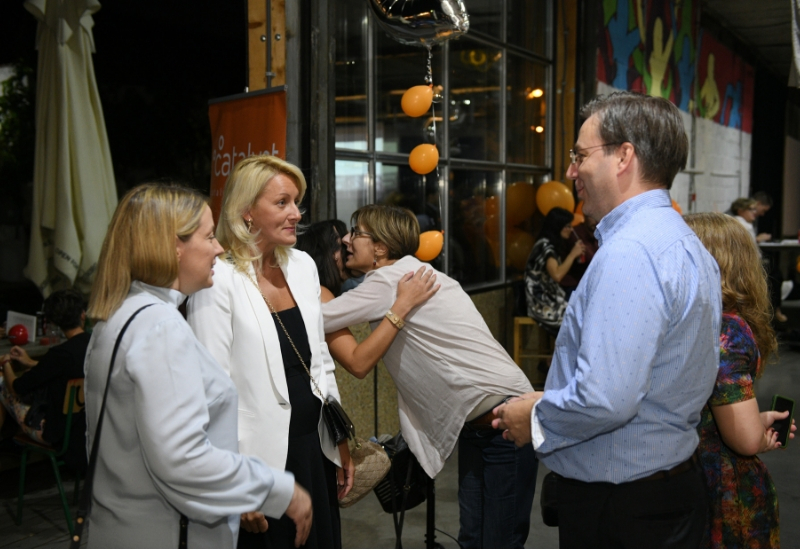 This made an excellent start for the campaigns run by the Serbian Philanthropy Forum, Center for Improvement of Society and Liceulice, all of which were launched at our celebration. On the other hand, the donations brought A Chance for Parenthood once step closer to its goal, and Zoi exceeded its goal. Of course, no birthday would be complete without good music, so we had a great time listening to 5 bands from the Rock Camp for Girls (Rok kamp za devojčice). 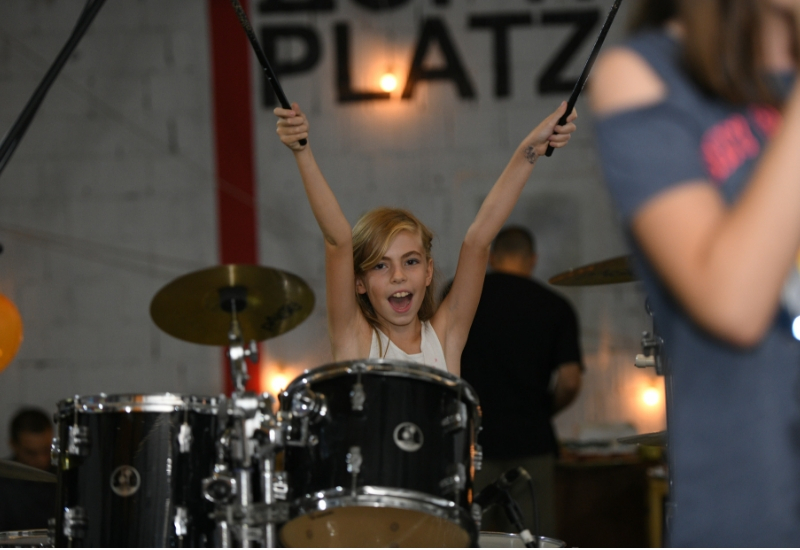 The young rockers impressed us with their talent and skills – another proof that nothing strengthens like rock. We wish to thank our crowdfunders, donors, partners, event sponsors, friends, families and everyone in the philanthropy community – your good deeds and kindness are inspiration for everything we are going to do in the years to come.